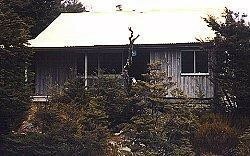 The hut was built as a memorial to Fenella Druce who was one of 4 people killed when the Four Johns Hut in Mt. 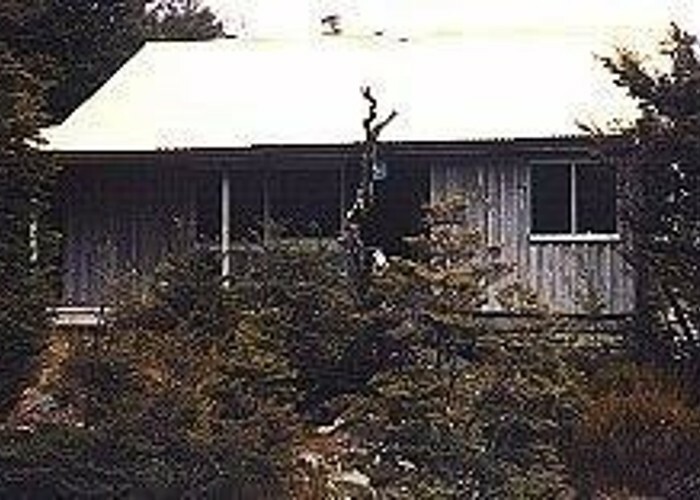 Cook National Park was blown off its site. Gas stove, indoor water, cooking stuff: pots, pans, ladles and can-opener on wall! One large sleeping platform with a smaller one above and a couple of mattresses in the back room behind the fireplace. Looks up to the saddle to Burgoo Stream - there is a 5-10 minute walk (turn left and downhill on leaving the hut) along a clear track to a swimmable tarn on the saddle. Walk on past the tarn for a good view of Burgoo Stream and the limestone cliffs above.